Yordano Ventura was a professional baseball pitcher for the Kansas City Royals, his net worth is estimated at $4.4 Million. 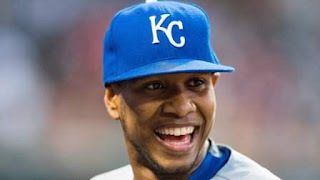 Yordano Ventura was Dominican aged 25 years (Born on June 3, 1991). He was named twice to the All-Star Futures Game. Yordano Ventura signed a 5 year contract with the Kansas City Royals on a $24 million deal, including a $1 million signing bonus and a $4.8 million annual average salary. In 2017, Ventura was to earn a base salary of $3.25 million. 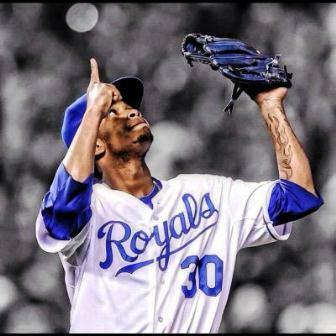 Yordano Ventura met his death through a road accident the city of Juan Adrián, Dominican Republic that took place yesterday, something that left his loyal fans and team mates in great shock. He was driving his Jeep Wrangler when he lost control on a mountain road turn. Before making his debut for Kansas City Royals, Ventura worked as in construction from the age of 14 years - this was after he dropped out of school. Who Gets Yordano Ventura’s Money After Death? Yordano had the ability to throw a fastball topping out at 164 km/h or better still 102 miles per hour. His pitches also included a change-up and curveball. He was key to the team’s success in 2015; Yordano helped the team win the 2015 World Series Championship. Yordano Ventura net worth has risen quickly due to his immense success on the pitch. We expect his family to benefit from his acquired wealth, especially him mom Marisol.